A career setback can be a positive experience if you are honest with yourself, say experts. 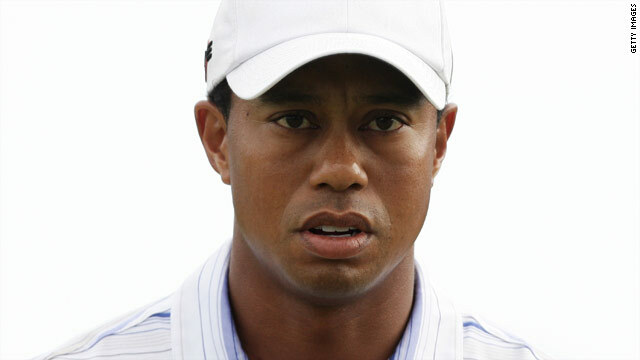 London, England (CNN) -- Tiger Woods makes his golfing return next week, looking to get his career back on track after his recent off-field troubles. The chances are we'll all have to recover from a setback at some point in our careers, but how do you bounce back when things go belly up? David Randall, a consultant with UK career-advice firm Career Energy, told CNN that handled the right way, it's possible to turn a professional disaster into a positive experience. But it's essential to view the setback objectively and try to understand exactly what has gone wrong and why. "Sometimes a career setback can tell us something important that we need to know about our career development, and it can work in our favor, but we need to see the truth of the matter," he told CNN. "Is it something that reflects on one's personal performance in quite a profound way?" said Randall. "Maybe it reflects that the person is in the wrong job or the wrong role, or they've been promoted too far, or not far enough." Randall said it's important to identify your strengths and weakness. Someone with a strong technical background may not have the right skill set for a management role. Equally, someone with strong interpersonal skills may struggle with a technical position. "We need to find out what our strengths and expertise really are and work with those, rather than against our natural skills and abilities," he said. Andrew Ward is an associate professor at Pennsylvania's Lehigh University and co-author of "Firing Back: How Great Leaders Rebound After Career Disasters." He told CNN there are three keys to recovering from a career setback: resilience, reputation and reinvention. Ward said managing external reputation is crucial, and the more senior the employee, the more publicity will surround their setback. "The temptation is to try to hide away from the public eye and wait until it's all blown over, but that's usually the wrong approach," said Ward. Instead, you should make your side of the story known, especially among the "gatekeepers" who can make or break your career. At the most senior level that means board members, directors and executive search firms. "You need to be active in getting across your side of the story before opinion among these key gatekeepers shifts too much in the wrong direction," said Ward. You have to demonstrate that you've learned from it, and the best way is to be honest and face up to it. If you've been fired, it's inevitable you'll be asked about your dismissal at subsequent job interviews. Randall said you should prepare an answer that's honest and positive, and you should be careful not to talk down yourself or the organization you've left behind. "You can, and you must, present it as a learning experience," said Randall. "That's the single most important message about any revelations about anything negative in a person's background. "You have to demonstrate that you've learned from it, and the best way is to be honest and face up to it. Don't be in denial. Any sort of denial will send the wrong signal." Any kind of setback can be a blow to your self esteem, but it's vital you get back your confidence and get back in the game. "Research has shown what motivates people at work is reputation, positive feedback and things that reinforce our self esteem, rather than money," said Randall. "So if we take a hit on our self esteem it can hurt more than almost anything else. "You must try to stay positive. Recognize your well being is affected by your performance at work and try to achieve good performance. But we need to stack the odds in our favor, which means doing work we enjoy in an environment that's supportive." "A career setback often makes the person a more attractive candidate," said Ward. "For example, in the United States, with venture capitalists looking at the resumes of entrepreneurs, they like to see they've had startup experience and even startup failures in their past. "They can see they've had that experience, they will have learned from that experience, and they know how to avoid those things happening again. "Going through the school of hard knocks is the only way to get that experience and that lesson is going to stick. So you're a bit more battle scarred, but you're ready to learn from that experience and move on."